If you have any questions about the NIRVANA information page below please contact us. NIRVANA used to be named project/yacht name Shamwari; The Mary F. This 35 m (114 foot) luxury yacht was produced at Hatteras Yachts in 1995. Motor Yacht NIRVANA is a well proportioned superyacht. The naval architect which delivered her design on the yacht was Jack Hargrave. Luxury yacht NIRVANA is a quality yacht that can accommodate a total of 10 people on board and has approximately 6 professional crew. 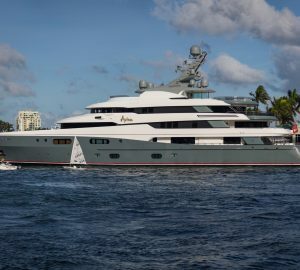 Jack Hargrave was the naval architecture company involved in the professional superyacht design work for NIRVANA. Also the company Jack Hargrave expertly collaborated on this project. In 1995 she was actually launched to celebration in New Bern Nc and following sea trials and final completion was then passed on to the owner. Hatteras Yachts completed their new build motor yacht in the United States. The main hull was crafted from composite. The motor yacht superstructure component is fabricated for the most part from composite. With a width of 7.25 metres / 23.8 ft NIRVANA has reasonable interior. A fairly shallow draught of 1.98m (6.5ft) determines the amount of certain ports she can enter, contingent on their minimum depth. She had refit improvement and alteration work undertaken in 2000. The 12V92TA engine powering the yacht is produced by DDC. Coupled to the NIRVANA engines are 3sc. The engine of the yacht creates 1080 horse power (or 795 kilowatts). She is fitted with 3 engines. The sum output for the boat is accordingly 3240 HP / 2384 KW. As for stabalisers she utilises Naiad. The bow thrusters are Naiad. Offering space for a limit of 10 visiting passengers spending the night, the NIRVANA accommodates them in luxury. This ship utilises approx 6 proficient qualified crew to manage. 34.7 metres / 113.8 feet. Giving the combined power of 3240 HP /2384 KW. Cruising at a speed of 20 nautical miles per hour. 23 nautical miles per hour. Onan 2 times 55 kilowatts. Chilled Water System X2 is the company which installed the A/C in this yacht. NIRVANA features a grp deck. 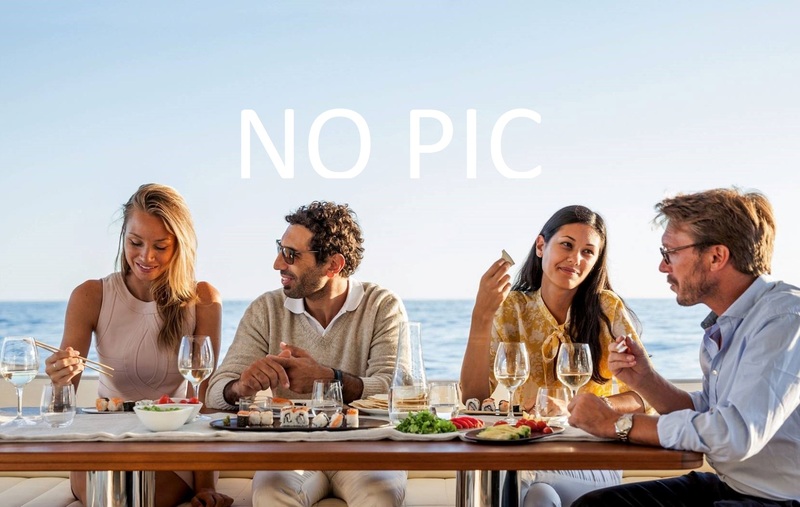 The luxury yacht NIRVANA displayed on this page is merely informational and she is not necessarily available for yacht charter or for sale, nor is she represented or marketed in anyway by CharterWorld. This web page and the superyacht information contained herein is not contractual. All yacht specifications and informations are displayed in good faith but CharterWorld does not warrant or assume any legal liability or responsibility for the current accuracy, completeness, validity, or usefulness of any superyacht information and/or images displayed. All boat information is subject to change without prior notice and may not be current.